While at the zoo one day when The Parasite was very small, I noticed that the fish tank held her attention better than the mammals could ever hope to. I attempted to test this theory with a trip to Seaworld when she was a little older and was very disappointed to learn that the "aquarium" they speak of on the website was really a couple of large fish tanks in a gift shop. I'm sure the whale show is fascinating, but the wait was too long. No matter, I had another opportunity a year later in the Bahamas. The fish-fascination held and an idea was born. 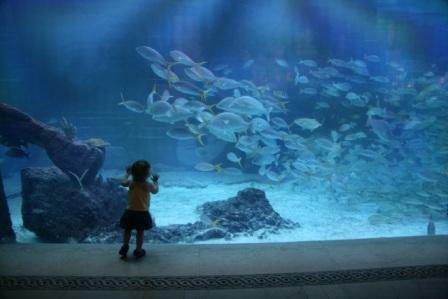 A quick Google showed there are about 50 aquariums in North America. I resolve to take The Parasite to most, if not all, of them before she leaves for University. We're going to do a lot of traveling anyway because we love to, so seeing some fishies while we're at it seems as good a reason for a trip as any. 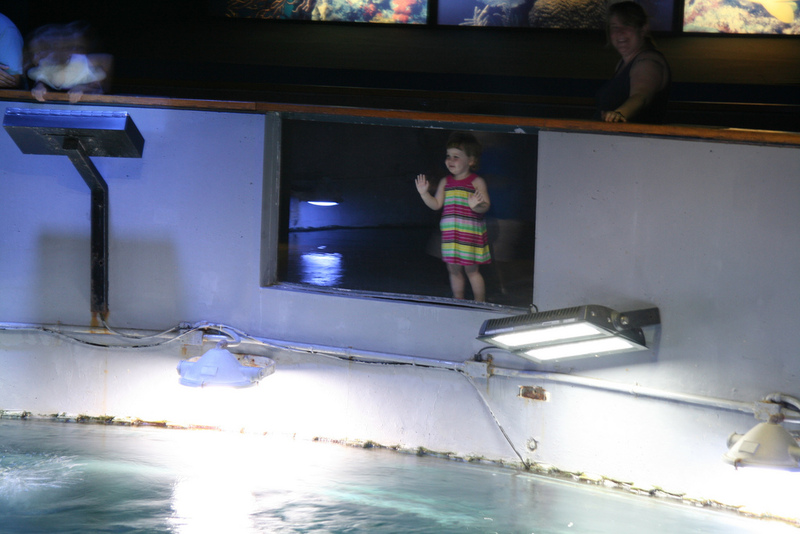 Last summer's road trip took us to the Aquarium of New England. A trip to Southern California one day will cross about eight off the list, and we'll hit the others as it strikes our fancy. Like the one we'll see tomorrow on our Easter mini getaway. Will the fascination with the fishies hold for long enough to see all 50? Only time will tell! Oooooo! The Denver Aquarium is about 10 minutes from my house! I'm a fellow Type A and after six years of motherhood I can tell you that it's next to impossible to ever "relax the mindset"! Good luck with your goal! Please do visit the next time you're in town! You can find all the details on our website (see below). We're on Facebook too, at facebook.com/NewportAquarium. hi, i just HIT like to your page on FB.. will you also LIKE mine, pls? www.gardeningismyhobby.com .... thank you very much in advance. cool family tradition! maybe i cna talk my husband into visiting all the national parks in canada and the us... we visited 8 or 9 in one road trip when naked girl was one.